You STILL Got This: things to tell yourself when cynicism strikes back — michellcclark.com - More than what you came for. The social media algorithm that makes your timeline pop also gives you a skewed view of reality. Don’t let people’s carefully curated life snapshots and romanticized success stories push you to devalue the full, raw, imperfect power of your journey. You’re not some perfect human being with relentless focus, infinite wisdom, a halo, and unshakeable confidence. None of us are. We all have insecurities we’re desperate to conquer, and failures that we’d love to forget. We can all still win. Don’t choose optimism because it’s easy. It’s not. This world can and will force us to bear additional weight on our shoulders every day, in a number of ways. Choose to be optimistic because it will help you to carry that weight and move forward, even if the finish line isn’t in sight. Your worth is not defined by your output, or by how often other people tell you that they “see you doing your thing,” or by how well known you are. Choose the metrics that matter to you. Define self-worth on your own terms. There’s no such thing as a perfect day. Keep pushing, and make the next minute a good minute. Make the next hour a good hour. Do your part to make the day as good of a day as it can be, and take time to be thankful for the blessings that you receive. The work you’ve done thus far does not diminish in value or significance as time continues to march onward. Allow yourself to take pride in what you’ve already accomplished while you push yourself to unlock levels. You might be tired of working towards that big goal that’s been eluding you, but it’s still achievable. Continue to search for new ways to get past the roadblocks. Continue to be patient with yourself, and with the process. Understand that the rewards will be even sweeter because of how hard you’ve worked to get there. If this article spoke to you, feel free to share on Twitter, LinkedIn, or Facebook. If you like this article, you might be excited to learn that my first print book is available for pre-order! 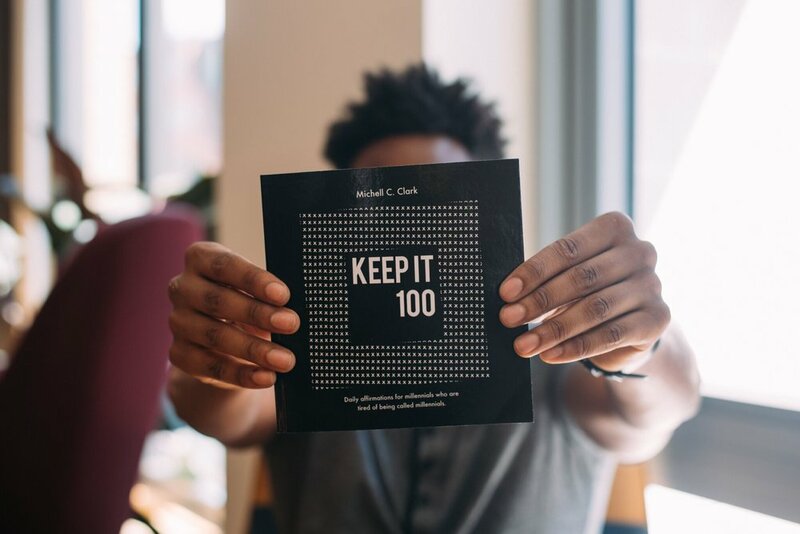 Check the sample pages below, and pre-order Keep It 100: daily affirmations for millennials who are tired of being called millennials here. Speaking of books… my E-book is still free! Subscribe to my email newsletter, and you’ll get a copy of On Your Own Terms e-mailed to you, free of charge.